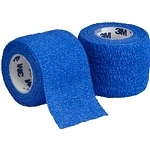 Coban Compression System is a low-profile system that goes on in just 2 easy steps. 2 Layer System consists of an inner comfort layer and an outer compression layer that are fast and easy to apply. After application the two layers cohere together, providing comfortable, effective compression. Coban system is thin, lightweight and allows users to wear normal footwear. 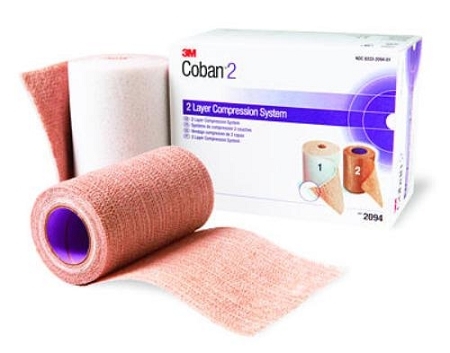 Use Coban for management of venous leg ulcers and other clinical conditions where compression is appropriate. 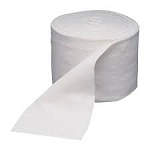 Kit contains 2 rolls; roll No. 1, comfort layer: 4" x 2.9 yd and roll No. 2, compression layer: 4" x 5.1 yd stretched. May be used for patients with an ABPI = 0.8. Latex free.